Letters are completely customizable within the Frazer program. Fields automatically generate from the system by adding any number of easy-to-use codes. 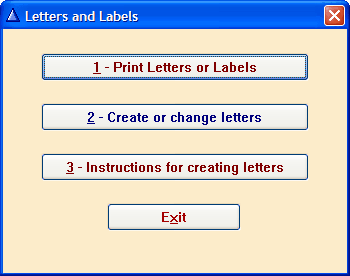 To access the Letters and Labels program, go to Customers >> 2 - Letters and Labels.